Ever since Grab took over Uber in Malaysia, it seemed like Grab became the undisputed dominant player in the ridesharing industry. Other small ridesharing companies launched, of course, but there doesn’t seem to be much news about them. However, Diffride, Malaysia’s latest e-hailing service, may prove to be Grab’s worthy competitor. As aforementioned, Diffride is a e-hailing service, just like Grab. What sets it apart from other ridesharing companies is that it is the first to offer competitive rates for both its drivers and passengers. 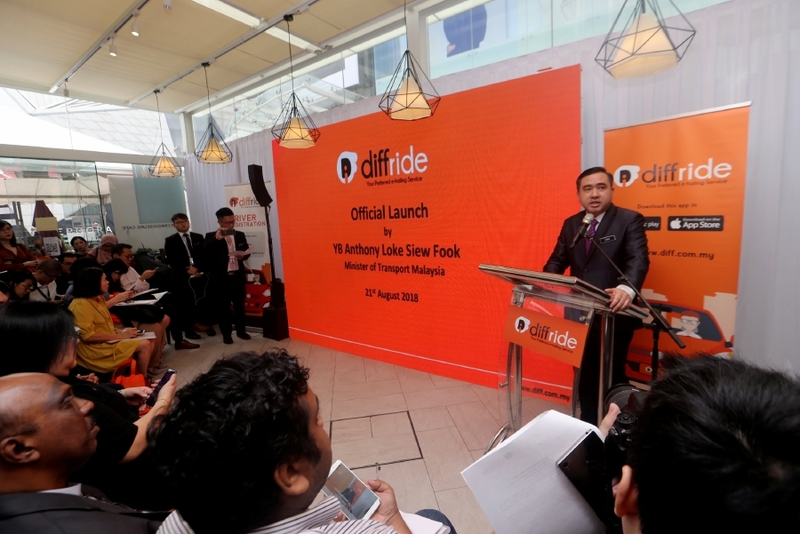 “We are the first e-hailing service provider in Malaysia to offer this flat fee of RM5 to our driver partners for daily access to connect them to their potential passengers,” said Diffride CEO Hannah Yong. By not taking cuts out of fares, Diffride can offer more competitive rates as well as allow drivers to take home more of their earnings. The RM 5 fee is for connecting drivers to passengers, and insurance coverage for both parties. Your safety is of utmost importance to Diffride, and that’s why it has a screening process. First of all, prospective drivers must have no outstanding summonses or criminal records. Paperwork can be uploaded online or through the Diffride app, and approval takes about 2 weeks. After that, the Land Public Transport Agency (APAD) will screen them. Furthermore, drivers must own or be legally authorised to drive their cars, and the vehicle must be less than 8 years old. The car model must also be one that ranks 3 stars or above on the New Car Assessment Programme for Southeast Asian Countries (ASEAN NCAP) or its equivalent. Besides on-the-spot requests, you can also book ahead, but only for trips that are more than 60 minutes. Additionally, you can also book rides for your friends! Fare starts at RM 5 for the first 5 km, and the rest calculated depending on time and distance. Payment options are also flexible; you can choose to pay with cash or cashless options, such as credit/debit cards. You can book through the Diffride app, which is now available for download on Google Play or Apple App Store! Currently, Diffride has about 2000 registered drivers, but it expects to have up to 6000 drivers at the end of the year with a ridership of 500,000. Soon, Diffride will also introduce telematics technology to its drivers. This technology will help track the vehicle’s location, but also provide an accurate, unbiased performance report of the drivers. Sometimes, Malaysians may be reluctant to give critical reviews, and the technology will help provide a clearer picture of the driver’s performance. Diffride is only available in the Klang Valley at the moment, but it has plans to expand to other major cities in Malaysia. Being a Diffride driver seems great! Diffride has partnered with both Digi and Huawei Malaysia to provide special plans and rates for its driver-partners! With Digi, drivers can enjoy a special postpaid mobile plan with monthly rebates. On the other hand, with Huawei, drivers can purchase Huawei smartphones at a special rate. Not bad at all, we think! Run by Malaysians for Malaysians, Diffride passenger and driver-partner apps are now available for download on the Google Play and Apple App store! What do you think? Will you try Diffride out, or apply to be their driver? Let us know in the comments below!